This is a very versatile gift! 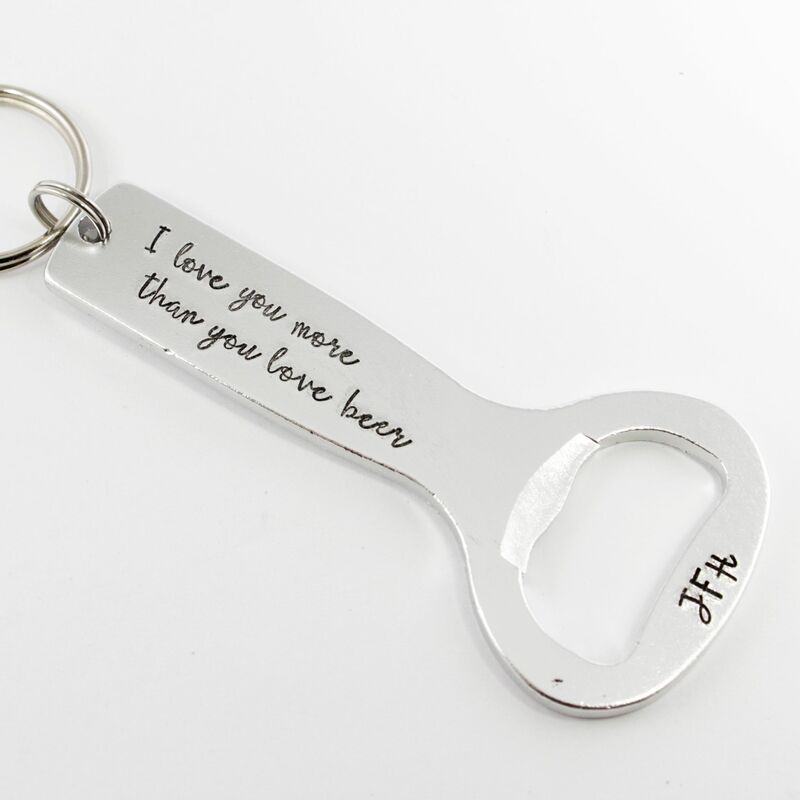 This listing is for ONE custom, hand-stamped bottle opener. 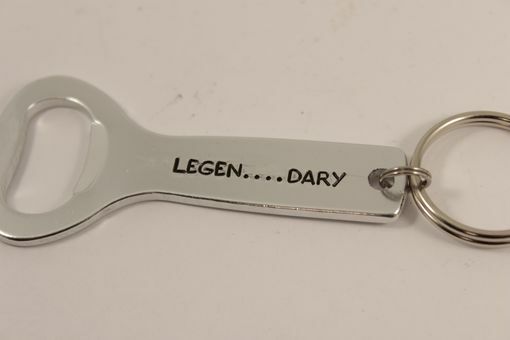 •	Available with a standard size keyring. •	Character Limit: 2 Lines / 20 Characters per line (including spaces) on each side. 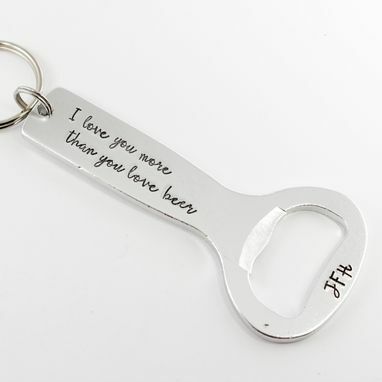 A date or initials can also be added to the bottom of the opener. More may be able to fit if a different font is used or depending on word length. •	Whenever possible, we source our supplies from other small businesses and recycle / reuse packaging materials to help reduce our environmental impact. We recycle all waste/scrap metal. Stamping the letters is a much more durable and permanent method of creation as the text will not wear off like paint or ink and will last for many years. Each design and letter is individually hammered one strike at a time, BY HAND. Because of this, there will be some variations in the spacing, depth of the designs and placement. This is not to be considered a defect, but instead a part of the character of the piece.